Since the smartphone is becoming a necessity rather than a luxury item, Pioneer Malaysia’s new 2013 VSX-series AV receivers are catering to trends by being compatible with iOS and Android operating systems. The new models are compatible with smartphones for easy access to music streaming options and improved control of features and functionality. 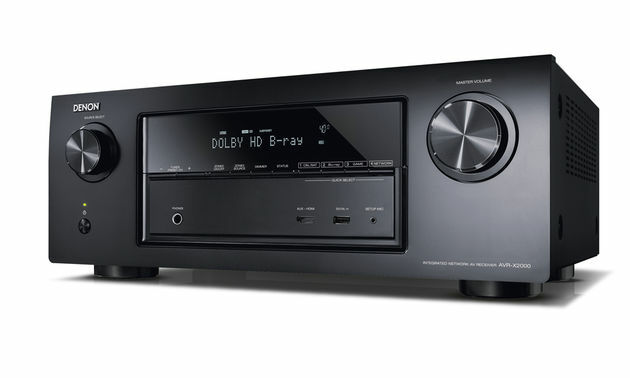 Each receiver offers top quality audio and brings a variety of new features with the top of the line models boasting expanded high resolution audio file playback, multiple HDMI connections including a dedicated second zone HDMI output, 4K Ultra HD compatibility, Pioneer’s proprietary ControlApp and iControlAV2013 App, and more. The new range consists of the 7.2-channel VSX-1123 and VSX-923 and 5.1-channel VSX-823, VSX-523 and VSX-323 receivers. “Pioneer is committed to providing products with the broadest smartphone connectivity as today’s fast-evolving smartphones have become essential components of the home entertainment experience. 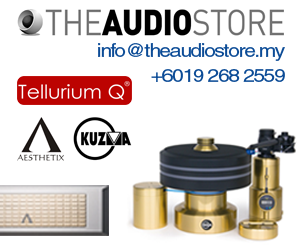 Whether it’s the newest iPhone or the next generation of Android smartphone, our new receivers are ready to connect to those devices,” said Mr Masayoshi Ishikubo, Senior General Manager of Pioneer Electronics AsiaCentre. • Expanded iPhone, iPad and iPod support– Each new Pioneer receiver enables iPhone and iPod users to enjoy the tracks stored on their devices. The top three models allow music playback from all versions of iPad and are able to display album art and metadata when connected to a TV or monitor. The receivers will also charge connected iPhone, iPad and iPod devices via corresponding cables (Lightning or 30-pin cable). • Pioneer control apps – The latest versions of the Pioneer ControlApp and iControlAV2013 apps, available for download from the App Store at www.apple.com/itunes/ expand control over the receivers and their home cinema settings from the convenience of an iPhone, iPod touch or iPad. A dedicated version of both apps is available for Android users via Google Play at play.google.com. Both apps offer a new feature that enables users to access the music libraries stored on their devices and create playlists that can be streamed wirelessly to the receiver, all from within the app1. Pioneer ControlApp, available for use with the VSX-823, offers features available in the previous version of the app, including management of inputs, audio adjustments and modes, and streaming content. The new iControlAV2013 App, for use with the VSX 1123 and VSX-923, has been redesigned to feature a completely new user interface and “finger flick” touch action for faster access to features2. It also has a new dedicated “ECO MANAGER” page for energy efficient settings. • MHL 2.0 input – A feature first introduced in the flagship SC models is now available on VSX-823 and above models, offering users the same Mobile High Definition Link (MHL) connectivity built in on the front of each receiver for integrating smartphones as additional sources of high quality audio and video. HDTV owners can play HD video content with multi-channel sound (up to 7.1-channels) through the receivers while simultaneously charging their Android devices. The new MHL 2.0 adds support for 3D content and faster smartphone charging. • HTC Connect – With HTC Connect, available on VSX-823 and above models, owners of compatible HTC smartphones (including the new HTC One phone) can conveniently stream music content directly to the Pioneer networked-enabled receivers via a wireless connection3. HTC Connect enables music playback and control of the receiver’s volume from the smartphone with the ability to use the device simultaneously for other functions, from making and receiving calls and taking pictures to downloading the latest apps and surfing the Web. Pioneer is the first consumer electronics manufacturer to receive HTC Connect certification and provide a unified connectivity solution for Android smartphone users via HTC Connect technology incorporated into its receivers (and wireless speakers). • AVNavigator– The VSX-1123 and VSX-923 also feature Pioneer’s AVNavigator (now also available for Mac), an interactive set-up guide and owner’s manual that provides users with a quick way to learn about all of the new features of the AV receiver. 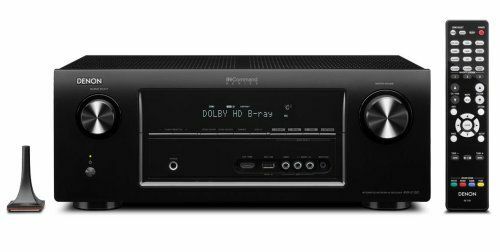 Pioneer’s new AV receivers provide consumers with a variety of features that enable high quality audio and video from any source. • AirPlay – AirPlay is built into the top four models, allowing users to stream their iTunes music whether from Mac or PC, as well as music stored on their iPhone, iPad, or iPod touch4. • High-resolution playback – To meet the growing popularity of high resolution music, Pioneer has expanded the number of high resolution audio file formats playable on the VSX-1123, VSX 923 and VSX-823. 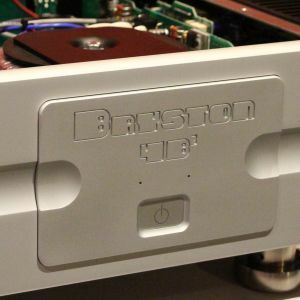 The new receivers enable playback of high-resolution WAV and FLAC files via a USB or networked computer. Formerly only available as a firmware update on SC-receivers, the top four Pioneer models now have built-in Apple Lossless and AIFF playback. In addition, these new receivers include gapless playback for AIFF, Apple Lossless, WAV and FLAC files offering improved listening experience by providing uninterrupted playback of consecutive audio tracks. 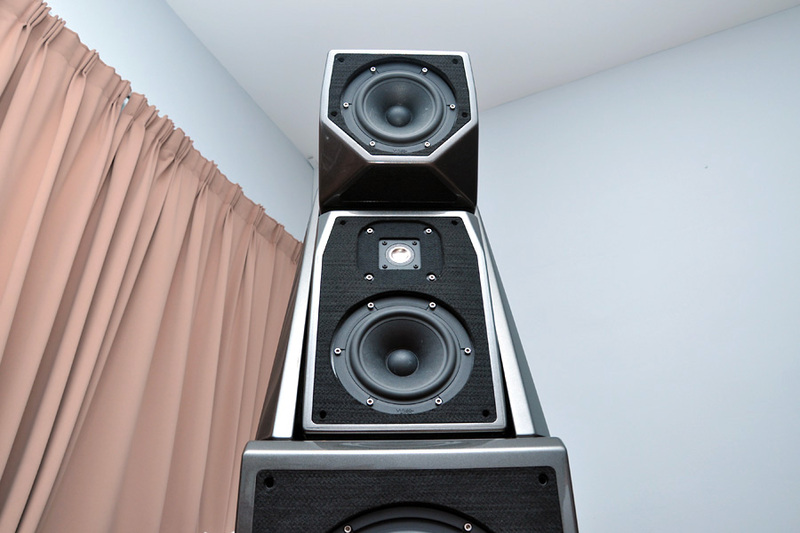 Gapless playback is especially enjoyable on music tracks meant for continuous playback such as classical music, progressive rock, concept albums or live recordings with audience sounds between tracks. The flagship VSX-1123 also offers playback of audio files stored in the Direct Streaming Digital (DSD) format through its front USB. • Endless music – Providing access to a variety of music content, models VSX-823 and above feature internet radio music via vTuner. Each network enabled receiver is also DLNA 1.5 certified to allow music content playback from a networked DLNA server or DLNA application running on a Windows PC, Mac, or smartphone connected on a home network, either through an Ethernet connection or optional wireless Wi-Fi converter (available on VSX-1123 and VSX 923). • 4K Ultra HD Pass Through – As content and display resolution quality continue to improve, Pioneer is ready for the next generation 4K Ultra HD resolution standard, which has four times the resolution of the current HD 1080p standard. The complete new line-up of Pioneer receivers can pass through 4K video signals to compatible displays, offering the highest quality video image available. Additionally, the VSX-1123 and VSX-923 can upscale HDMI video signals for 4K Ultra HD resolution when used with latest 4K displays. • Zone 2 HDMI Out – Pioneer continues to expand connectivity options on its receivers, offering eight HDMI inputs on the VSX-1123 and VSX-923. For an expanded high-definition entertainment experience throughout the home, these models also offer HDZone, a Zone 2 HDMI out for routing either the same signal as the main zone or a separate source to a second zone via HDMI. A third audio only zone can also be powered by the receiver and controlled through Pioneer’s iControlAV2013 App. • ECO Mode – Pioneer designed the new 2013 models with the added benefit of reducing power consumption in both on and stand-by mode. With the new ECO Mode users can, in real time, analyze and control peak volume corresponding to the content being played to reduce power consumption while still maintaining content audio quality (ECO Working); reduce power consumption when the receiver is in stand-by (ECO Stand-by); and easily set the “Ecology function ON/OFF” feature in three different ways – from the remote control, ECO Manager on the iControlAV2013 App, or the front panel of the receiver (ECO Access). 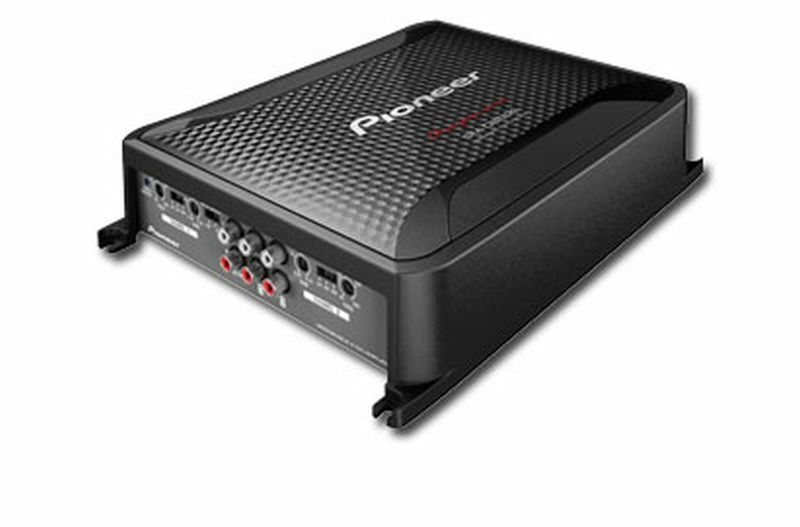 The VSX-1123, VSX-923, VSX-823, VSX-523 and VSX-323 are now available at Pioneer authorized dealers.